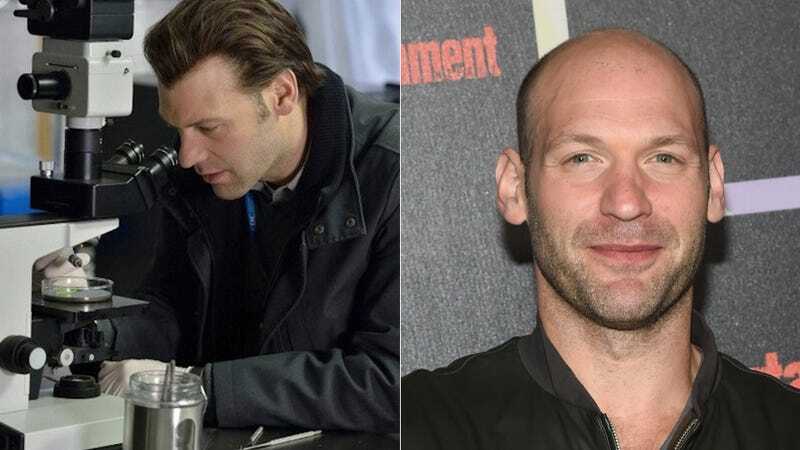 Very handsome bald man and House of Cards actor Corey Stoll is now appearing on gross-out vampire story The Strain. However, it might've taken you a moment to recognize him, because the role requires an abysmal wig their costume director maybe stole from a passed-out Elvis impersonator. And yes, he knows how terrible it looks. For somebody who is follicle-ly challenged, I spent a lot of time talking about hair. At first, when I heard he wanted me to have a wig, I was resistant. I didn't want the reason to be so I could look like a standard TV guy or a hero. Then that points to a bigger problem. I'm not interested in playing that character. I made a choice in my career to not get hair plugs and not hide the fact that I was balding, and I've managed to play all sorts of characters who have shaved heads.